Greetings from the home office in Jalalabad, Afghanistan. In this edition, the SigEp Patriots Project (SPP) highlights the lives, accomplishments and sacrifices of military brothers from 23 chapters, who served in at least one of six major conflicts over the course of 97 years. We remember 26 Brothers, one of which we salute for completing his military obligation, four that we added to our Facebook group, and honor the passing of the first SigEp killed in Operation Iraqi Freedom. Dropping out of Cornell, NY Beta Brother James Meissner enlisted in the Army Signal Service (the branch of the Army then tasked with flying) as a Private First Class on this date. One year and two days later, First Lieutenant Meissner was awarded his second Distinguished Service Cross for extraordinary heroism while in aerial combat over Jaulny, France during WWI. On this date, World War I Veteran, U.S. Congressman (Virginia) and VA Eta Brother Private Joel Flood, U.S. Army was appointed Assistant U.S. Attorney for the Western District of Virginia. He would serve in this capacity until elected as a judge to the Fifth Judicial Circuit of Virginia. "I believe they [the troops] are as well prepared for battle as any troops we have ever sent into action." These words were spoken by Vera Cruz & World War I Veteran, VA Theta Brother Leonard T. Gerow, (then) Brigadier General and Chief of the U.S. Army War Plans Division, while observing maneuvers of American forces in Southwest Britain. KS Gamma Brother Raymond L. Childers began his WWII service with the U.S. Army Coast Artillery Corps on this date. On this date, World War II Veteran and PA Eta Brother First Lieutenant Jay Albere, U.S. Army completed nearly 3 1/2 years of service with the Signal Corps. World War II Veteran and KY Alpha Brother Yeoman Third Class Karl A. Christ, U. S. Navy was discharged from the service on this date. On this date, World War II Veteran and OH Epsilon Brother Lieutenant Haldean S. Lindsey of the Chaplain Corps was released from active duty after nearly two years of service, including six months overseas. 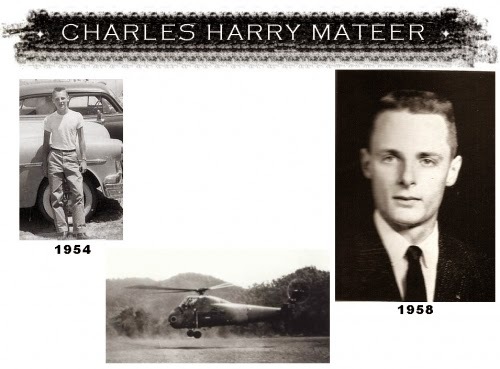 NC Beta President Second Lieutenant Charles Henry Mateer, U.S. Army was killed on this date while serving as a civilian co-pilot with Air America (aka the CIA) in Laos. Brother Mateer was president of the chapter at North Carolina State University 1957-58, and was also active in ROTC. Commissioned upon graduation in 1958, Charles became a helicopter pilot, and volunteered to fly for the CIA. Respect can be paid to Brother Mateer at Sharon Memorial Park, Charlotte, NC. AZ Alpha Brother Edward C. Logan was commissioned a Second Lieutenant, U.S. Air Force on this date following graduation from Arizona State. USS Hissem (DE-400), the first U.S. warship named in honor of a brother of Sigma Phi Epsilon, was struck from the Naval Registry on this date. The ship's bell was given to the city of Mt. Carrol, Illinois, the birthplace of WWII Veteran and IL Alpha Brother Ensign Joseph Hissem, U.S. Navy Reserve killed in action at the Battle of Midway. On this date, World War II Veteran, TN Alpha Brother and SigEp Citation Recipient Brigadier General Everett H. Qualls, U.S. Army Reserve (Retired) died in Bradenton, Florida. During WWII, Brother Qualls served in the Second Armored Division on the War Department General Staff in the North African and European Theaters. 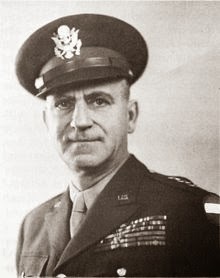 From 1948 until May 1961, he commanded the 435th Transportation Highway Transport Command, a reserve transport unit in the Washington, DC area. He retired from the Army Reserve in 1961. In 1925, Everett received his bachelor's degree from the University of Tennessee. After graduation, he worked as assistant engineer and director of the Motor Transportation Department of the Tennessee Railroad and Public Utilities Commission in Nashville until May 1936. He later became director of District 7, Bureau of Motor Carriers, Interstate Commerce Commission, Nashville. In 1937, he was appointed assistant director of the Bureau of Motor Carriers, Interstate Commerce Commission, in Washington and served in that position until December 1958, when he was appointed director of the bureau. He remained in the position until his retirement in 1965 - the same year he was awarded the SigEp Citation. Respect can be paid to Brother Qualls at Mansion Memorial Park & Funeral Home, Ellenton, FL. The first SigEp killed during Operation Iraqi Freedom (OIF) died on this date. 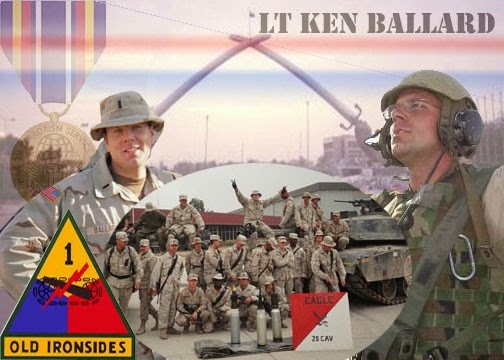 Bosnia & OIF Veteran, TN Theta Brother First Lieutenant Kenneth M. Ballard, U.S. Army was killed during an accident while serving in Najaf, Iraq while serving as a tank platoon leader with 2nd Battalion, 37th Armored Regiment, 1st Armored Division. Ken joined the Army as soon as he graduated from high school in 1999, and served in Bosnia Germany and Macedonia as a tank loader before being awarded a military scholarship to attend Middle Tennessee State University, where we were fortunate to have him become our Brother and earn his degree in international relations. Brother Ballard returned to the Army in 2002 as a tank lieutenant. In part because he started out an enlisted man, Ken earned a reputation as a leader who always took care of his troops. His awards include three Bronze Stars – two for Valor, Purple Heart, Army Commendation Medal, Army Achievement Medal (with two oak leaf clusters), and the Combat Action Badge. Respect can be paid to Brother Ballard at Section 60, Site 8006, Arlington National Cemetery, Arlington, VA.
On this date, U.S. Army World War II Veteran IL Alpha Brother George “Scotty” Clark, 89, died in Elmurst Extended Care Facility in Elmhurst, Illinois. After college, Brother Clark served in the Signal Corps in Europe during the war, and afterwards worked his entire life in the silk screen printing business, owning his own shop at one point in the 1950s. Respect can be paid to Brother Clark at Queen of Heaven Cemetery, Hillside, IL. U.S. Army Korean War Veteran and TX Alpha Brother Daniel B. Stuart, Sr. died on this date. Brother Stuart was a member of the College of Business Administration Foundation Advisory Council at University of Texas and endowed a professorship for the teaching of computers and management. Stuart was a member of Park Cities Baptist Church for 37 years and served as a deacon. Korean War Veteran and CO Delta Brother First Lieutenant Roger A. Richter, Sr., U.S. Army died on this date. Brother Richter grew up in Denver and earned his degree in mining engineering in 1951 from the Colorado School of Mines before his Army service. During his career in the insurance industry he served in executive positions in many companies, including president and chairman of Richter/Robb & Co., and president of Sheridan Savings & Loan. Roger was actively involved in community service. A member of Kiwanis in Southwest Denver and Golden for more than 53 years, he also served many years on the Fort Logan Mental Health Citizens' Advisory Board, co-founded Big Sisters of Colorado, and co-organized Girls' Clubs of Colorado, Southwest Denver Community Center and Beaver Ranch Camp for Boys and Girls. Brother Richter was a 32nd Degree Mason, as well as a Shriner, and member of the American Legion and Veterans of Foreign Wars. Respect can be paid to Brother Richter at Section 30, Site 63, Fort Logan National Cemetery, Denver, CO.
U.S. Army World War II Veteran PA Delta Brother William H. Gelbach, Jr. died on this date in Quincy, Pennsylvania. Bill served in the South Pacific Theater with the Army Corps of Engineers after receiving his bachelor's degree in 1943 from the Wharton School at the University of Pennsylvania. After the war, Brother Gelbach worked for Travelers Insurance Company in Hartford, CT. In 1950, he returned to Waynesboro, PA and established the W.H. Gelbach Insurance and Investment Firm which later became Waynesboro Building & Loan. In 1971, he orchestrated and built the Waynesboro Savings Association and served as Chief Executive Officer and President. Five years later, Waynesboro Saving Association subsequently merged with Home Federal Saving Bank in Hagerstown, MD, and Bill remained with the company as an advisor and served on the Board of Directors until his retirement in 1988. He was a member of the Waynesboro American Red Cross Board of Directors from 1951-1957, Waynesboro YMCA Board of Directors from 1952-1978, and served in the Rotary Club of Waynesboro, where he was a Paul Harris Fellow and Treasurer from 1967 until 1971. Bill was also a member of the Board of Directors of the Waynesboro Chamber of Commerce - where he also served as President in 1972-1973, the Mount Pisgah Lodge #443 Free and Accepted Masons, Joe Stickell American Legion Post #15 and William Max McLaughlin V.F.W. Post #695 in Waynesboro. On this date, U.S. Navy World War II Veteran TX Alpha Brother James M. Railey died in Fort Worth, Texas. He was 87 years old. Jim attended the University of Texas at Austin for a semester before entering the Navy during WWII. After completing his military service, he returned to the University where he earned his bachelor of science degree in electrical engineering. In recognition of his scholastic achievements, Brother Railey was inducted into the Psi Chapter of Eta Kappa Nu, an honorary electrical engineering fraternity. After graduation, Jim began his engineering career in 1949 as a design engineer for Dallas Power and Light Co. In 1955, he moved to Fort Worth, where he was employed in the Fort Worth Air Force plant by the General Dynamics and Lockheed in a variety of aircraft system design and engineering management positions on the B-57F, the B-58, the F-111, the F-16 and the F-22 aircraft programs until his retirement in 1993. Jim enthusiastically and actively worked as an adult volunteer in Scouting. He was an avid scouter and the scoutmaster of Boy Scout Troop No. 50 for eight years. Under his leadership, his scout troop was well known for its outstanding camping, advancement and parental participation programs. As a boy, he earned his Eagle Scout Award and was inducted into Scouting's Order of the Arrow. Jim's support of Scouting included service as a Cub Scout pack committeeman, an assistant scoutmaster, a scoutmaster and a chairman of the Horned Frog District. He also led scout contingents to the Philmont National Scout Ranch in New Mexico and to the 1969 National Jamboree in Idaho. For his distinguished service to boyhood, the Boy Scouts of America awarded him with the Longhorn Council's Silver Beaver Award and the Horned Frog District's Award of Merit. Jim's memberships include Masonic Lodge No.1195, and Wedgwood Chapter No. 756, Order of the Eastern Star. He was a 32nd Degree Scottish Rite Mason, a member of the Knights Templar Commandery No. 83 and a past president of the Masters, Wardens and Secretaries Association. Respect can be paid to Brother Railey at Laurel Land Memorial Park, Fort Worth, TX. U.S. Air Force Veteran PA Gamma Brother Nicholas L. Goodman died suddenly on this date in Rowlett, Texas at the age of 25. Nick served in the U.S. Air Force as a Pharmacy Technician. During his initial training, he was cited as the most outstanding Airmen of the Quarter for his school. Brother Goodman left the Air Force in 2012 and was working as a pharmacy technician for Wal-Mart at the time of his passing. A member of the National Honor Society, he was also the commencement speaker at his high school graduation in 2005. Nick attended the University of Pittsburgh, and after Pitt he sought out new adventures by moving to Las Vegas, where he worked as part of the crew of a Cirque du Soleil production called Love. Nick also held a second job as a server for the British Beverage Company in Dallas, Texas, where he had many friends as well. In lieu of flowers, Nick's family has asked that memorial donations be made to the New Oxford High School Drama Club or the Lone Star Chapter of the National MS Society. A year ago today, CA Theta Brother Hamid Karimi was promoted to Staff Sergeant, U.S. Air Force Reserve. * On 29 APR, IN Alpha Brother Corporal David M. Parker, U.S. Army, 82, passed away in Tulsa, Oklahoma. After graduating from high school, David served in the Army for two years and received an honorable discharge before leaving the Army to attend Purdue University. Brother Parker went on to become the longtime President, CEO and Chairman of the Board of M-E-C Company - a worldwide supplier of industrial process equipment for many different industries. * NE Alpha Brother Ronald J. Stading, U.S. Army Judge Advocate General Corps passed away 18 MAY at the age of 67 after a courageous battle with cancer. * U.S. Navy World War II Veteran and KS Gamma Brother Harry E. Barker, 89, passed away 20 MAY in Kansas City, Missouri. Harry served aboard the USS Tennessee (BB-43) and battle cruiser USS Guam (CB-2). * Vietnam Veteran and OK Alpha Brother Major Lowell D. Bilyeu, U.S. Air Force (Retired), 80, passed away at home in Stillwater, Oklahoma on 21 MAY. While at A&M (now Oklahoma State), Brother Bilyeu was a member of the Air Force ROTC, and he entered the USAF in 1956. In 1957, he graduated from pilot training and was commissioned a second lieutenant later that year. Lowell flew the RF-101 in Vietnam doing photo reconnaissance and was awarded the Distinguished Flying Cross, seven Air Medals and two Air Force Commendation Medals. He retired in 1976 at Hamilton AFB, in Novato, CA, and was presented the Meritorious Service Medal. In lieu of flowers, the family asks that donations be sent to Judith Karman Hospice; P.O. Box 818, Stillwater, OK, 74076. * On 28 MAY, U.S. Army Veteran TN Beta Brother Gene Weaver passed away at his home in Irving, Texas. He was 87 years old. Our thoughts and prayers are with the family, friends and chapter brothers of SigEp Patriots Parker, Stading, Barker, Bilyeu & Weaver, and we pledge that you and your service to the nation will always be remembered. * Today marks the last day in the U.S. Army for Operation Iraqi Freedom Veteran and OH Rho Brother Matt Basil. Matt worked hard to earn the rank of Captain, and is now moving on to new challenges. Best of luck, and thank you for your service, Matt! * Recently, DC Alpha Brother Second Lieutenant Daniel Ceisler, U.S. Army Reserve was elected to the position of Democratic City Committeeman in Philadelphia. Just five days after commissioning, and two days after graduating from George Washington University, Daniel, determined to get involved in his community, returned home and ran a write in campaign for the position. He ultimately received 54% of the vote in a competitive three way race. Congratulations Brother Ceisler! * The names and other information for 55 SigEp Patriots was added to the SPP archives this past week. Thank you to Brother Chuck Eberly for the assist this week. * SWS now numbers 707 SigEp Patriots! This week we welcome Brothers Joe Garland, Jamar Minter, Andrew Baldwin and Wesley Thiel to SPP's official Facebook group - SigEps Who Serve (SWS) - the only such group solely comprised of brothers who serve/served in the U.S. military. To be added to our ranks, go to http://www.facebook.com/groups/sigepswhoserve. * During the week, our Twitter account - @SigEpsWhoServe - gained eight followers and now has 72. We only send 1-2 tweets a week, so we won't put a huge dent in your twitter feed.